We greatly appreciate all of our supporters, whatever their donation or membership level. 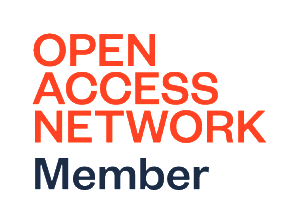 Membership in the Open Access Network is open to any institution, library, society, foundation, organization, company, or individual anywhere in the world. 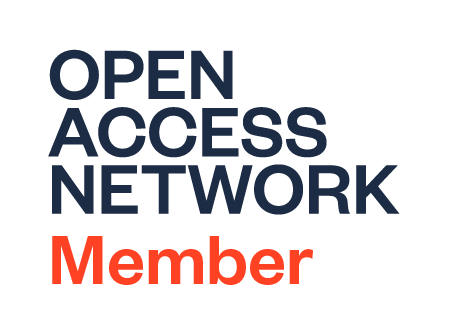 By becoming a member, you demonstrate your support for an open-access model that is scalable, sustainable, and fair. Membership funds go entirely to support the organizational and administrative infrastructure for the OAN and the pilot projects we will develop to test the model. This seed funding will allow us to put into place the structures needed to proceed with the post-launch phase of the OAN, as described in our white paper. How much money is needed? What is the tipping point? We believe that the route to successful adoption of the approach we are advocating is to demonstrate its attractiveness and sustainability through a stepwise implementation process. To obtain initial seed funding, we have established a membership program open to anyone and everyone who wishes to join the OAN and contribute to the initial pilot projects that will demonstrate in practice how the OAN works. To fund the post-pilot implementation phase, we proposed in our white paper targeting 1,038 institutions concentrated in the United States and Canada, but with representation throughout the globe, resulting in $56,993,479 in annual revenue. If we go by the law of diffusion of innovation, when we are able to convince 167 (or roughly 16% of those 1,038 institutions) to agree to pay the annual fee, we will have reached a tipping point of institutions who believe in the plan. Critical mass, which indicates widespread adoption and ensures that innovation is now self-sustaining, would require 519 to adopt the model in an ongoing manner. Because of the evolving nature of scholarly publishing, the amount of money raised, while important, is not as critical as getting adopters on board in supporting changing the way the system is funded. What are you doing now to raise money? As we work to establish the OAN, we have set up a membership program that any institution, library, university press or publisher, scholarly society, foundation, organization, or individual can join. Tiered ranges allow for maximum flexibility within the levels of membership: Supporter ($10 – $999), Benefactor ($1,000 – $4,999), Collaborator ($5,000 – $9,999), Partner ($10,000 – $19,999), and Leader ($20,000 and above). By becoming a member at whatever level, you demonstrate your support for a model for open access that is equitable, scalable, and sustainable. The monies raised will go entirely to support the administrative and organizational infrastructure for the OAN and to fund the pilot projects we will use to test its model. In this phase we want the Network to be seen for what it is: broad and inclusive, with members that include high schools, community colleges, liberal arts colleges, and universities. We also welcome libraries, societies and university presses and scholarly publishers of all sizes — and budgets. We are pursuing foundation funding and are asking for-profit organizations to contribute as sponsors. And of course we welcome grassroots support from individuals. Because the OAN is a legal entity of K|N, a US registered 501(c)(3) organization, your membership may qualify for an income tax deduction in accordance with Federal and/or State income tax laws. Please consult with your tax adviser to determine whether your membership or donation is tax deductible, in whole or in part. How do we know that the money will go to support the OAN and not just go into the pockets of K|N Consultants? K|N Consultants (federal tax ID: 46-4698607) is a US registered not-for-profit 501(c)(3) organization that provides strategic and operational guidance via a range of consultation services to mission-driven organizations such as academic institutions, libraries, learned societies, scholarly publishers and university presses, government agencies, and private foundations. We created the OAN, however, as its own legal entity to emphasize the distinctiveness of the Network from that of the other work that K|N does. OAN’s finances are tracked separately from those of K|N’s consulting work. While K|N does act as the administrative organization for the OAN and at present is its only staff, our finances are monitored carefully by a Financial Oversight Committee made up of members of K|N’s Board of Directors who are tasked with approving the financial policies of the organization, with overseeing the development and implementation of K|N’s budget and expenditures, including that of the OAN, and with reporting regularly to the Board. To ensure the committee’s autonomy, there is no ex officio representation by K|N’s principals on the committee.